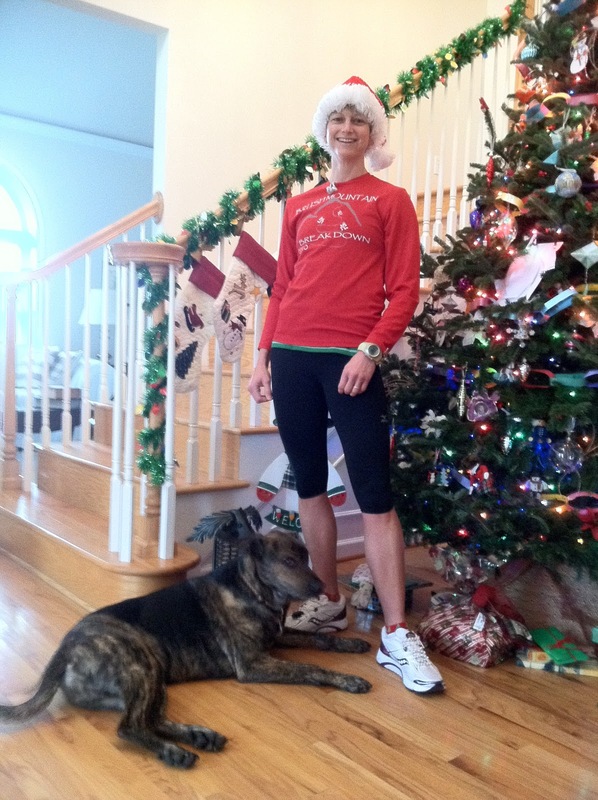 Cort the Sport: Ho, ho, ho!! I kicked off the festivities yesterday with my own little "Santa Run" -- a 9 miler through town in my Santa hat, Christmas tree socks, and assorted red and green clothes. I dropped Grant off at the pool with a friend then enjoyed my bubble of quiet solitude while taking in the hustle and bustle passing by me. As I chugged up the final hill, who of all people should drive by but Coach Jim and his kids. I don't think anything I do surprises him much anymore!! This morning, the kids and I and my sister-in-law Elisabeth are headed to the town's Frosty 5K. We will run/walk it together. This will be my first time in a race that I am not actually racing. Since I don't entirely trust my willpower, and an all-out 5K effort is not in my best interest right now, my strategy is to decline a race number to prevent any temptations to race it. A leg workout with Kurt yesterday combined with the 9-miler has left me feeling less than fresh anyway. I will leave you with a couple of holiday reads. Enjoy the holiday weekend everyone!! When the Big Man in Red calls, you have to be ready - Rudolph finds himself in need of some sports medicine help. Roll Call: Lists for Santa - find out what members of the Endurance Films Racing Team have asked for Christmas!